Tobermory derives its name from the gaelic ‘Tobar Mhoire’ meaning the well of Mary. Mary’s Well and Mary’s Chapel dated back to the Medieval period, the water from the well was said to possess medicinal properties. 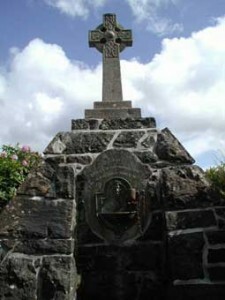 Both the well and chapel are gone but a monument was erected on the approximate site of the well in commemoration of Edward VII’s coronation. The only sign of the old chapel, can be seen at one corner of the graveyard. Man has inhabited the general area for over 3000 years, but because the previous inhabitants were farmers, then the inhabited areas were Prior to this time, the majority of the population lived at Baliscate at the top of the Eas Brae (Eas meaning ‘Waterfall’). The only real evidence that can be seen of early settlements are the Standing stones at Baliscate and an Iron age fort near to the farm at Sgriob Ruadh. The fort is called Dun Urgadul and is thought to have been in use between 600 B.C. and 400 A.D. 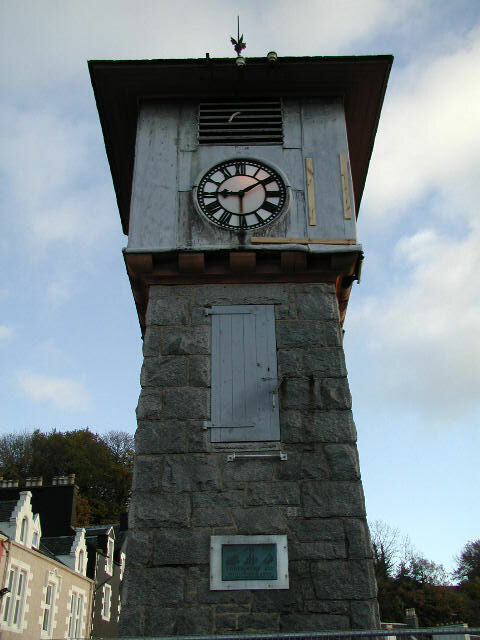 The town of Tobermory was established in 1788, created by the British Fisheries Society. The society had decided that Tobermory should be one of three new habitations to be developed. The other two being Ullapool and Lochbay in Skye. In 1788 the building work began. Where the Main Street now sits had been nothing more than a rocky cliff face with a small piece of flat ground at Ledaig (where the distillery is now situated) that supported a small settlement. To start building the new Tobermory, the site had to be created by cutting away at the steep slope and reclaiming land from the sea. A small pier and customs house were the first structures to be built so that the salt could be landed and taxes could be levied. Most fish was transported in salt to preserve it, and salt was taxable. The current post office was the customs house and store. Other buildings were then constructed in this area, including an inn (where the co-op is now). this was to be the core of the village. Land was precious, and so, to allow the village to expand, accommodation land was released at the top of the hill. Argyll Terrace was developed and named after the 5th Duke of Argyll. The new village was expected to attract people currently working on the land and to develop their skills into being fishermen and tradesmen. This never really worked, as few local people had either the knowledge or finance to build boats and head way out to see and catch Herring. In the end other factors help develop this part of scotland. Kelp was being harvested for processing into soap and glass. This meant that the pier had to be extended and this increased trade. The boom in Kelp however, was only temporary and the trade collapsed in the 1820’s and lean years were ahead for the village. As in recent years, tourism came to the rescue and after visits by notables like Mendelssohn the village became a stopping off place for people visiting the Hebrides and Fingal’s Cave. In 1847 Queen Victoria visited Tobermory in the Royal Yacht (Victoria and Albert)and described Tobermory as “prettily situated” The town then had a reputation for being on the ‘Royal Route’ and Steamships Companies used this description in its advertising material to attract people onto its cruises. The promotion worked, and the village didn’t look back. By now the village had around a thousand inhabitants and the buildings were developing outwards to the north. The area where the Mishnish pub is now standing was constructed and more seawall was extended to carry the road. In 1864 a new deep water pier was completed to service larger vessels that had become necessary to service all the growing small communities up the West Coast of Scotland. The importance of Tobermory’s safe harbour was now as important as ever to passing vessels. More vessels meant more trade and the Tobermory shops developed and with them the necessary trades.